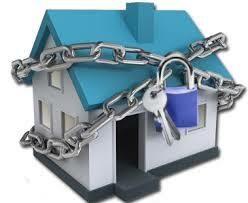 T&B Locksmith is highly trained staff and available 24/7 for all of your lock repair needs. Whether it’s day or night, or there’s a snow storm outside, we’ve got you covered. It’s important to know what your options are. Because let’s face it, South Western Ontario has some pretty unpredictable climates. What will you do the next time you’re locked out of your home or car? 519-742-5625 – Lock Repair Waterloo – We’ll be there when you need us most. Whether you need to repair or replace locks in your home, business or car, Lock Repair Waterloo will travel to you to take care of your lock repair troubles. Not only do our locksmiths travel to you, each Lock Repair Waterloo technician’s van carries a full service station with the tools, locks and security products we need to repair or replace locks on the spot! Simply give us a call, located within your local area of Waterloo, we can be reached any day & anytime at: 519-742-5625 – We’re here to help. with T&B Lock and Door Service, you will already recognize one of our techs’ friendly faces. Not only do we provide emergency locksmith services, we provide any type of locksmith service you can think of. We also provide car key replacement and duplication as well as programming, in shop or by a mobile service! If you are a homeowner or renter, you may have experienced the headache that comes with a broken or locked door. It always seems to happen when you least expect it, that’s why Lock Repair Waterloo is available to you 24 hrs a day, 7 days a week call us at: 866-272-0468 – we’ll be right there.